This article illustrates Domain Transfer Network in face domain. This article also explains method to transfer set of random and unlabed face images to set of emoji images. I have used set s of one million images without label . Block f is feature encoder, block g is generator and block D is discriminator. Function f is typical Generative Adversial Network(GAN). This function should remain unchanged. f is pretrained and remains constant during training. Lconstant keeps f(G(s) and f(s) identical. Ltid wants G to remain the identity mapping when it takes in some t from the target domain. Note: For calculation purpose cross entropy loss can be used for Lgang and Ld. 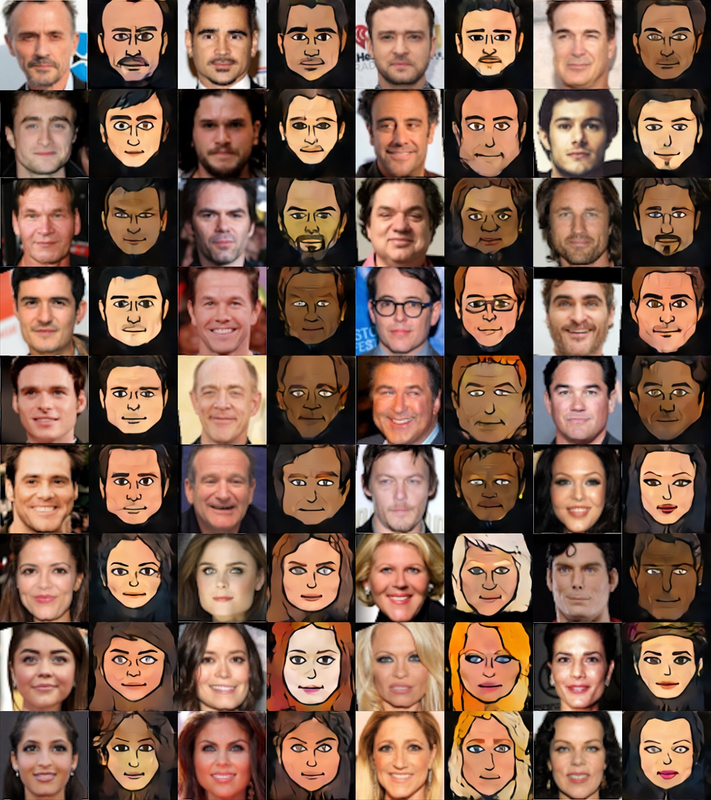 Internally block f is pretrained OpenFace(Torch implementation of face recognition) which outputs a 128d vector representation of the input image which is trained so that similar faces are together in the feature space. Each block contain stride 2 convolution, batch normalization and leaky ReLu non-linearity α = 0.2. 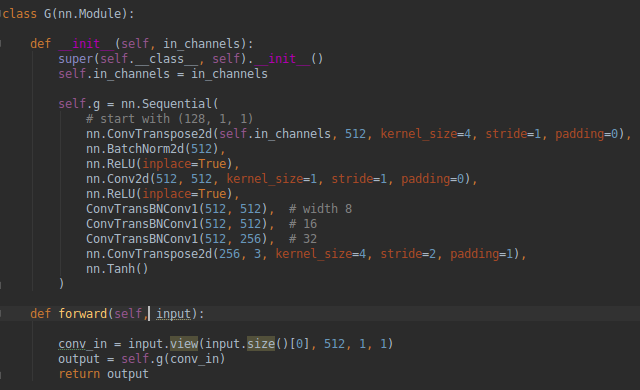 Instead of downsampling by maxpooling, use strided convolution. Use LeakyReLU instead of ReLU in discriminator. Change learning rate schedule. Use SGD for discriminator and Adam for generator. Change weight decay. 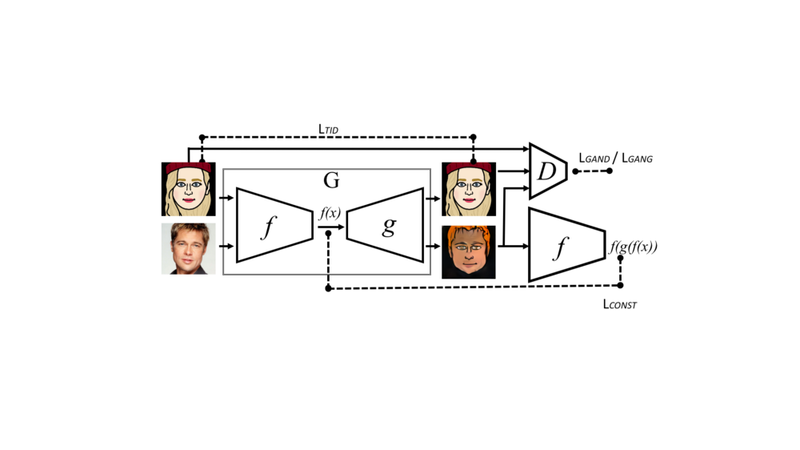 This article explains the problem of unsupervised domain transfer. It also explains the ability to use domain transfer in order to perform unsupervised domain adaptation.